Our designers will take your content, logo and photos and create a website that fits your style and brand by personalizing your site with custom colors, backgrounds and fonts. 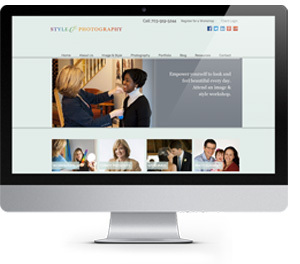 Level 1 includes 1 home page, 2 Information pages, a contact page and 6 galleries. For each gallery, we will resize and upload your images. Along with a one-on-one consultation with a Web Solutions Designer and 3 rounds of proofing, your Account Representative is available to work with you through every step to make sure you get exactly what you had in mind. Example shown has had Marathon Branding materials uploaded to their site including logo, custom graphics, galleries, and information pages. Not only do we take your content and personalize it to fit your brand, we add in any additional changes to your website you may need and install plugins and widgets. Visual HTML and CSS adjustments are also included. Level 2 includes 3 rounds of changes and up to 10 hours of customization. You also receive access to your Account Representative and a one-on-one consultation with a Web Solutions Designer. Example shown is a customized Whimsical Elegance site. Changes made were an adjusted header and layout with custom sidebars, embedded videos and a special registration plugin. Build the site of your dreams. 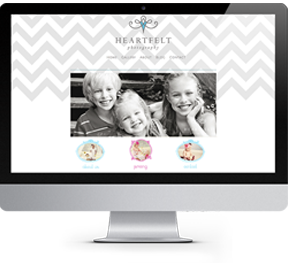 Starting from the ground up we will customize your website to your business and create seamless branding. Any advanced development is on the table including custom ecommerce solutions, registration pages and event managers. Speak with your Web Developer to review your site after each round of changes. Providing you with everything you need to engage with your clients. 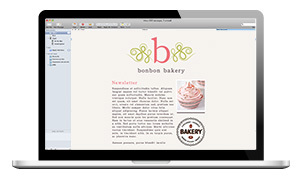 Beautiful email marketing is just the beginning when paired with powerful features and the best interface around.